What if your computer could recognize your mood and deliver everyday work content to you based on your feelings and emotions? Cognitive Services, now adds facial and emotion recognition features to its customers through the company’s cloud platform, Microsoft Azure Government. This was announced during the recent Tech Summit event in Washington, DC. But what is Cognitive Services, exactly and what do the new features mean for employees using Azure? This program detects, analyzes, organizes, and tags faces in photos and videos. Face verification checks if two faces are the same person or not, assigning a confidence score. Search through an extensive data set to discover matching or similar features and group photos based on similarity. This app personalizes the user experience with emotion recognition. With Microsoft’s Cognitive Services, users can create apps that respond to users moods and get personal by recognizing feelings. By examining facial expressions, cloud-based APIs can detect happiness, sadness, anger, disgust, contempt fear, surprise, and neutrality. The AI algorithms used to detect these emotions are based on several universal facial expressions that are consistent in humans no matter their background and culture. How this technology will be used in Azure Government remains to be seen. With optical character recognition (OCR) the program can detect and read the text in a picture, extracting the words and parsing them into a coherent word stream. Use this program to analyze images and identify embedded text, generate word streams, and even enable searching. This will allow users to take photos of text, saving time improving efficiency. This app automates image, text, as well as, video moderation. Evaluate and filter images for offensive or unwanted content regardless of file types. Detect images that have been altered or “photoshopped.” This app also uses OCR and face detection, improving the chances for detection of unwanted content and enables content matching with blacklists and whitelists. According to Tom Keane, GM of Microsoft Azure, the company has extended the use of these APIs for use with HDInsight and Power BI to US Government Azure users. HDInsight allows Microsoft’s Azure Government customers to build powerful data analytics, while Power BI Pro for the US government enables customers the ability to utilize Big Data in more ways than ever before. Power BI Pro, Power BI Desktop, and Power BI Mobile are tools that allow customers to discover patterns and create impactful “what if” scenarios via interactive visualizations, actionable reports and the ability to manage and analyze massive quantities of data with ease and efficiency from within a customizable business intelligence dashboard. It’s difficult to imagine all of the ways these features could be used in government agency work. However, for now, it appears that it will not significantly impact users. 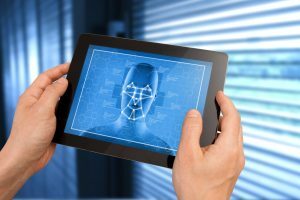 The facial recognition software and APIs have been used in some capacity throughout government to reduce unauthorized access and improve security. Security seems to be the most likely application for facial recognition going forward. Though as the uses for Big Data continues to evolve the usefulness of these APIs —integrated with business intelligence dashboarding can and will continue to expand as well. Keep reading us at cFocus Software as we explore more new features in Azure Government.